PowerTool gives you the option to Hard Restart your iPhone bringing it to the lock screen, Soft Restart your iPhone which uses the Set Language mode to restart your SpringBaord and does not bring your all the way to the lock screen, Reboot which will bring you to the boot logo screen and Power Down which will turn your iPhone completely off. 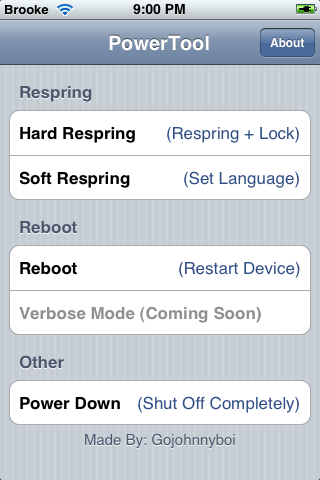 The Verbose Mode which will show the Linux code on your iPhone’s screen during the reboot, is not yet available. Respring is a one-touch respring application. As soon as your open the application, it will automatically respring your iPhone to the lock screen. Not a lot of options but, quick and easy! 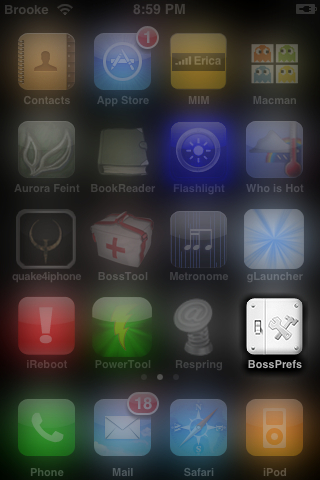 A few updates ago, a Power option was added to BossPrefs. 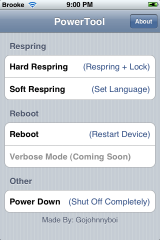 In the power option you have the ability to Fast Respring which uses the Set Language mode to respring your SprinBoard and does not bring you to the lock screen, Respring and Lock which will bring you to the lock screen, Reboot which brings you to the boot logo screen and Power Off which will turn your iPhone completely off. Honestly, it is totally up to personal preference on this one. 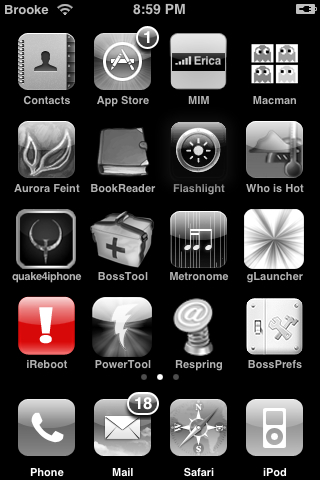 All of the apps work correctly and do what they say they are going to do. 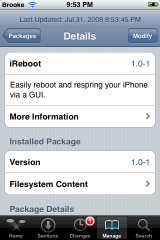 Though, I did find iReboot to be the slowest of them all. I use BossPrefs works really well. 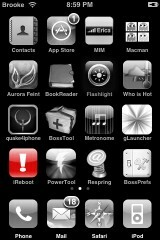 I used PowerTool, Its simple yet has all the options, it works very well, and the icon looks great! brooke is this ur old iphone? I really like PowerTool because it gives you the most options. Is this still available? 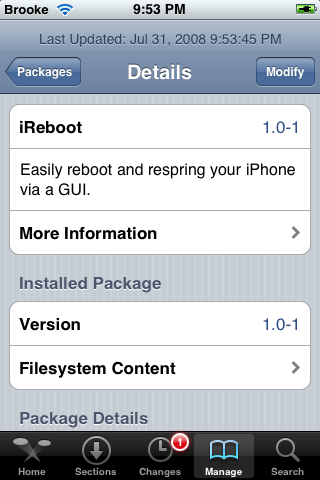 I don’t seem to find it on Cydia? 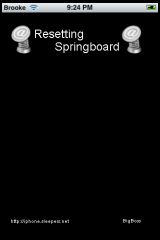 Respring is perfect, I’ve got an ipod touch 3G 3.1.2 . 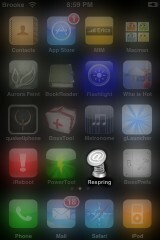 I tried bosspref and I’can’t click on respring !